Fumigation is your best bet for getting rid of persistent pests once and for all. 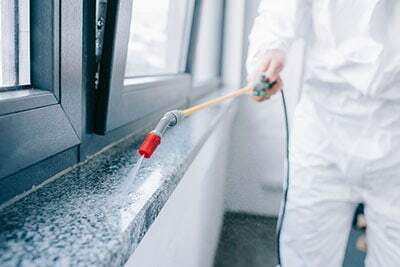 At Flatliners Pest Control, we offer professional fumigation services to help you evict those unwelcome critters that cannot be controlled by other forms of extermination. We’re your Las Vegas source for reliable pest control. Insects and rodents can cause real harm to your property and the people living there. They can compromise the structural integrity of your home, increase allergies, and spread disease. Sometimes fumigation is the most thorough solution to pests who live in wood and walls or seem to return again and again despite your best efforts. You’ve set out bait and traps, sprayed, and cleaned, but you still have pests. Having to deal with an infestation can be incredibly expensive and stressful. Hiring an experienced fumigation company like Flatliners Pest Control can be the end of the struggle and the beginning of an infestation-free home. Fumigation can be performed with chemical gases, liquids or solids. These chemical fumigants kill pests at all stages of their development. They are applied throughout your home in order to gain access to the hiding places that conventional pest control methods just can’t reach. In a matter of 3 days, usually, you can return home and start enjoying your now pest-free space. Your exterminator will give you detailed preparation instruction, but there are some basic things you can do to get ready for your fumigation service. These make sure the product can thoroughly do their job without any harm to people, pets, or plants. Make sure all of your inside doors are open (including those to attics, basements, and crawl spaces). Make lodging arrangements for 3 days. You cannot reenter the home after fumigation begins. Make sure all food, medications, and other ingestible are bagged or sealed as directed. Remove all pets and plants, including fish. There’s no reason to suffer the itch of bed bugs, the odor of a rodent infestation, or the damage of termites to your property. At Flatliners Pest Control, we can fumigate your Las Vegas area property. Call us today to schedule your pest control service. We want to know what’s bugging you.